In 1967, after the completion of the Radar Station at Phou Pha Thee, the US began to lead air strikes over North-Vietnam around the Hanoi area. Earlier that year, North-Vietnamese troops supported the Pathet Lao by attacking military bases in all the Lao provinces. 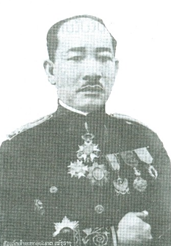 Many of the bases under the command of Gen. Vang Pao were captured by the enemy. The southern part of Laos, including Saravan, Attopeu and half of Savannakhet Province were all lost to the enemy. During March 10-11, 1968 Phou Pha Thee (LS85) was attacked and captured by the enemy, along with 90 percent of the Houaphan Province’s territory. The enemy consisted mostly of Chinese ethnic troopers, while the North-Vietnamese communist troops attacked Khe-Sanh (South-Vietnam) and Hue (Central Vietnam). Phou Pha Thee was a very critical strategic site because of its radar installation that guided all the air operations over North-Vietnam, including keeping track of the pilots who were shot down in North-Vietnam. This was the reason why North-Vietnam had to eradicate that base at all cost. The loss of Phou Pha Theewas a sign of weakness of the US and the Vientiane government because the base has not been as well equipped as it should have been. When it was under enemy attack, the base lacked reinforcement and air support, and had to assure its own defense to death. This was an open door for the invaders to penetrate and attack the whole country before reaching South-Vietnam, and capturing Attopeu, the south-eastern part of Pakse Province, and the entire Saravane Province and the eastern part of Savanakhet Province. During these attacks, the Royal Lao Army took several hundred of Vietnamese prisoners. On October 13, 1967, when Prince Souvanna Phouma was attending a United Nations session in New-York, USA he publically accused North-Vietnam of invading Laos and asked for international assistance, but the UN did nothing to address the situation. When he came back to Vientiane, the prince also invited international journalists to interview North-Vietnamese prisoners and broadcast the news to the entire world. During the last part of 1967 and beginning of 1968, South-Vietnam was heavily attacked by communist North-Vietnam. In early 1969, several sites in Xieng Khouang and the south of Laos were lost to the enemy, including 100 percent of Houaphan Province; 70 percent of the south-east part of Savannakhet Province; the entire town of Paksong, and 100 percent of the eastern part of Pakse Province. More than 1.5 million rural area people (out of a total population of slightly over 3 million) left their native regions and moved to urban centers or other provinces, because of the insecurity brought about by North-Vietnamese invasion. In mid-1969, rightist troops in military regions II, III and IV went back to the front line to attack the enemy, trying to recapture several areas within their territories with US air support and Thai ground troop support. However, they have not been able to keep the sites they have recaptured for very long, and had to cede them back to the enemy. In MR-II and southern Laos, the Royal Lao Army tried unsuccessfully to liberate several sites in the provinces of Huaphan, Xieng Khouang, Savannakhet, Saravane, Attopeu, and Pakse. The enemy had a bigger army and was equipped with more modern weapons. All the Royal Lao Army could do was to gradually pull back, step by step, unable to defend any positions as it should. As soon as they seized a new position, the North-Vietnamese would immediately send in several divisions for defensive purposes. The fighting in the Plain of Jars area and in northern Laos during the rainfall season was more advantageous for the allied troops because of the availability of air support. But the situation was reversed during the dry season, because the enemy was then able to move around more easily and could bring in any kind of weapons and vehicles. In June 1970, the Vientiane government and the Lao communists started a new round of negotiations in the city of Vientiane to try to reunite the two factions. In February 1971, several divisions of South-Vietnamese were deployed to the Lamson area to attack North-Vietnam’s supply line along the Ho Chi Minh trail (Doan 559) that crossed the town of Sepone on the eastern side of Savannakhet Province. This resulted in a very fierce fighting, heavy life casualties, and many soldiers taken in as prisoners. The South-Vietnamese troops stopped the fighting and returned to their bases. On January 2, 1971 the North-Vietnamese and Pathet Lao troops attacked the MR-II command center of Long Cheng, but were pushed back to Muang Kheung and Lath Bouak. In May 1971, the Pathet Lao called for another round of negotiations. As in the past, each time the Pathet Lao asked for negotiation time, they were only trying to buy time and lay out more plans of attack against the Vientiane side. In January 1972, new elections were held nationwide (mainly in Vientiane government controlled areas) to elect a new group of 59 national representatives. Only 18 of the former representatives got re-elected. 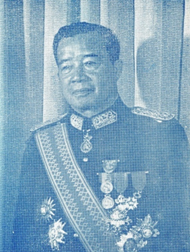 Prince Souvanna Phouma was tasked with forming a new government that, at first, did not get the required number of approving votes from the National Assembly’s members. The quorum requirement was later removed under strong pressure from the foreign ambassadors to Laos, especially the US Ambassador, who wished to see Prince Souvanna Phouma continuing to serve as Prime Minister. In 1972, Tiao Souphanouvong’s son was killed in Samneua, Houaphan Province. The highland Hmong were blamed for that killing. Also in 1972, Kaysone Phomvihane granted even more power to the Lao Communist Party and had it renamed “Phak Passa-Son” (People’s Party). At that time, Tiao Souphavouvong had no power wrested in him at all. The communists Lao began to slowly understand that North-Vietnam had already swallowed Laos. 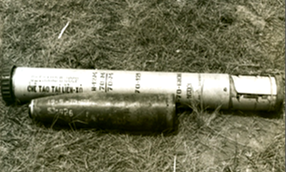 Soviet support to North-Vietnam in modern weaponry and many other items that compelled the US to decide to unconditionally pull its troops out of Indochina. In 1973, the two Lao factions decided to jointly form the third coalition government. At that time, the neutralist party only existed by name, with Prince Souvanna Phouma as its sole member. The neutralist troops and Kong Le had all but disappeared since 1967. The only actors left on the scene were the red Lao and the Vientiane rightists. The negotiations did not lead to any agreement because the Lao communists were using the “18 Provisions” strategy as an excuse. On February 9, 1973 US Secretary of State Kissinger visited Laos and told the rightist Lao leaders to sign the cease-fire agreement with the Lao communist leaders or else all the US assistance programs would be cut. Remove all the Vientiane troops from those two centers. The Vientiane faction also did not agree with the job assignments and the demarcation lines, because those were too much in the red faction’s favor. 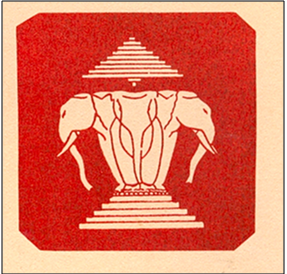 On September 14, 1973 the Vientiane and Lao People’s Party agreed to form a coalition government for the third time, along with a joint political committee. This was the reason why Gen. Vang Pao picked at this sole discretion Yang Dao to be on that committee as a Hmong representative in the Vientiane faction. Before the selection, several high-ranking, foreign-educated civil servants disagreed with the selection of Yang Dao. They ran out of options in trying to convince Gen. Vang Pao about his selection, because the general strongly felt that Yang Dao’s father had been fighting the Lao communist for a long time and had been very helpful to him. Besides, he also immigrated to Laos to stay away from the communist North-Vietnamese during the French war. Unfortunately, things did not pan out the way the general thought. For one thing, Yang Dao ungratefully and incorrectly spread the word that he was picked by H.M. King Sisavang Vatthana in 1973 to play an important role in the Joint Political Committee. The formation of the two-faction coalition government in the kingdom of Laos in 1975 marked the end of the royal Lao dynasty and the beginning of the Lao People’s Democratic Republic (“Sathanalat Paxathipatay Passa-Son Lao”) controlled only by the Lao Communist Party (LCP). No one could do anything against LCP-issued orders but to execute them. Offenders were automatically sent to re-education camps for a full-cycle of comprehensive learning. However, once you got to those camps, you did not know when you would be going home again. A good example is related to the case of Vice-Minister Thongsouk Saysangkhi, who submitted his resignation from office on August 26, 1990. The vice-minister felt that the communist regime misled the public and would not be able to successfully lead the country. He ended up being arrested and detained in a re-education camp without any chance to see his family and the outside world again. To this day, nobody knows his whereabouts and his fate. All those situational changes caused a lot of unusual hardship to the population of the royal kingdom of Laos who supported the rightist Vientiane faction, especially those who were lured into re-education camps and had to go through untold emotional and physical pains. In his book, pages 234-235 in the Lao version and pages 264-265 in the English version, Col. Khamphan Thammakhanti wrote that the rightist Lao got insulted, hit, accused of all kinds of false accusations, deprived of food and medical treatment, put on severe diet or hunger, ate food worse than animal food, performed forced labor, were punished for no real reasons, enchained with iron schackles, prevented from walking/running, fed with timed poison, left to die slowly, killed, shot by firing squad, detained in a room full of ticks and lice. Obviously, these were extremely harsh punishments. Photo #162. 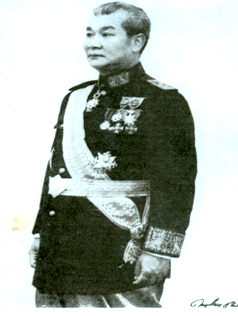 H. M. King Srisavangvong was born in 1885 and was in power from 1904 until his death on October 29, 1959 at his royal palace in Louang Prabang. He had 12 wives and 23 children. Photo #163. 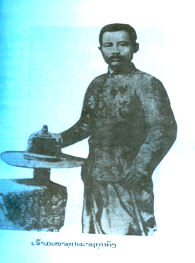 Tiao Maha Ouparath Bounkhong was born on July 4, 1857 and died on July 26, 1920 in Vientiane. 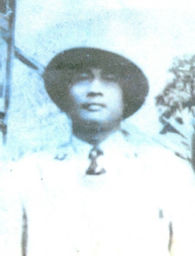 He was the father of Tiao Souvanna Phouma and Tiao Souphanouvong. He had 11 wives and 24 children (11 sons and 13 daughters). On October 7, 1901 and February 8, 1903 the French and the Siamese agreed to put the area on the right bank of the Mekong River under Siam’s control and the area on the left bank under French’s control. 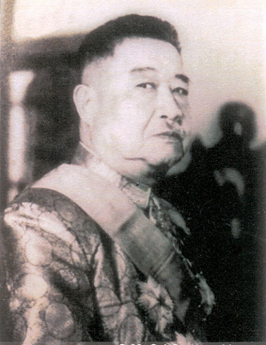 Tiao Bounkhong was strongly opposed to that decision. In 1946, Thailand returned Sayabouri and Champasak Provinces to Laos. Photo #164 (left). H.M. King Srisavang Vatthana, born in 1907 and died of an agonizing death in 1978 at the re-education camp of Viengsay, Houaphan Province in the hands of the red Lao and North-Vietnamese communists . Photo #165 (right). 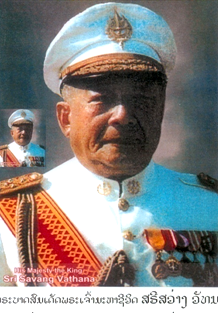 Prince Tiao Boun-Oum Nachampasak was born in 1911 and died at Boulogne-Sur-Seine, France on March 18, 1980. Photo #166 Tiao Maha Ouprahat Phetsarath, born on February 1, 1890, sought refuge in Thailand from 1946 to 1957 for 11 years before returning to Laos. He died on October 14, 1959 in Laos. He was one of the Lao princes who tried hard to bring independence back to Laos but, at the time, there were still a lot of differences in the public opinion. In the end, Laos became a neo colonialist country as reflected in the current national flag. Photo #167 . Tiao Souvanna Phouma was born in 1901 and died in 1984 in Vientiane. He was actively seeking a neutral role for the Lao people to play but ended up creating three internal factions that fought among themselves. He too ended up putting Laos regrettably and painfully in the hands of the communists during a sad episode of the Laos history.